The new feature is the integration of the python_autocomplete and python_console_ipython plugins with the project plugin. The behaviour of these plugins depends of the loaded project. That is to say, the python_autocomplete plugin autocompletes with our project modules. 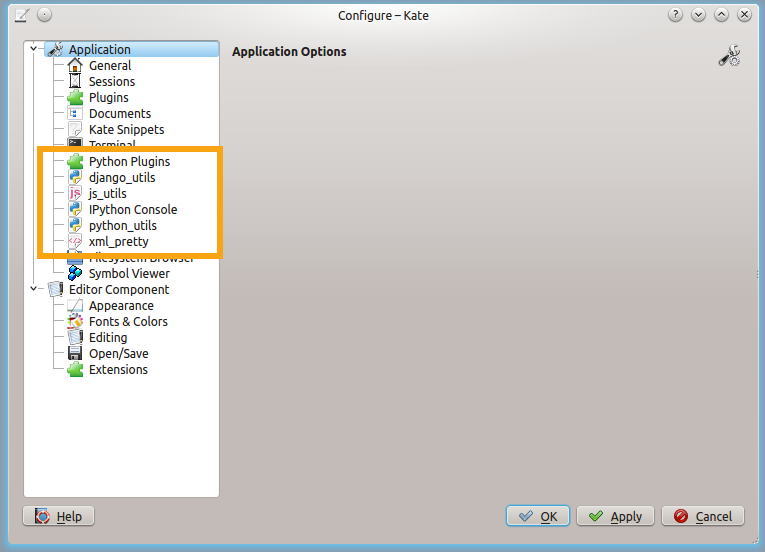 Currently the kate community is working to add a new python autocomplete using jedi (this will work with Python2 and Python3). And the python_console_ipython plugin has something that we can name the project console. 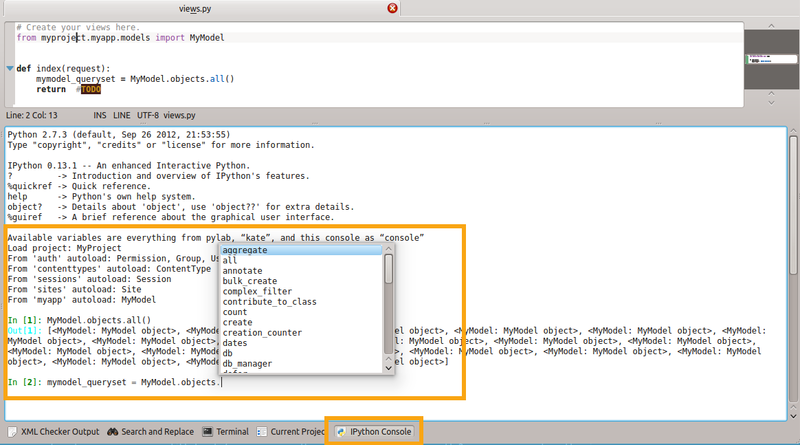 A ipython shell with the python path of our project and with the environments variables that the project plugin needs. I am a django developer, as we say in Django we can come to have a django shell (python manage.py shell) integrated in our editor. But this feature is a generic feature not tied to Django. 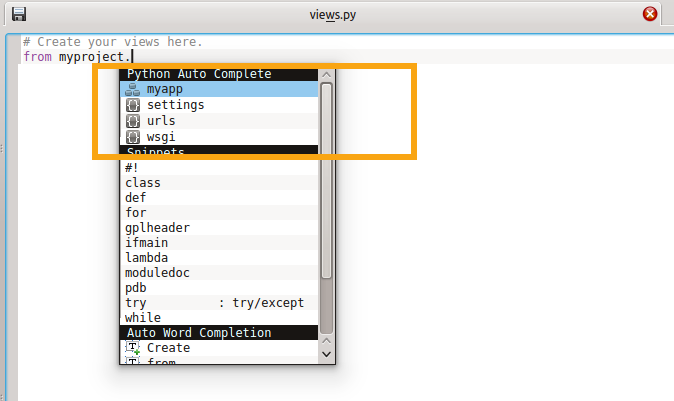 This feature can be used by other Python developers. I have added only a specific feature to the django developers. If we set in the project file (.kateproject) the attribute projectType with the value Django, the ipython shell automatically loads the models and the settings like a shell_plus does.